4 Can I keep chinchillas together? A good starting point before getting a chinchilla is to read up about how wild chinchillas live, since the domesticated chinchillas hail from these animals. For instance, wild chinchillas live far up in the Andes Mountains where it is cool, which is why it is very important to not expose your pet chinchilla to warm temperatures. Temperatures that we humans find pleasant, e.g. a warm summer day when the temp is 25 degrees C (77 F), can cause health problems for the chinchilla, especially if combined with direct sunlight, high humidity and improper ventilation. Understanding that chinchillas are rodents with continuously growing teeth, and that they feed on a lot of course food in the wild, will also make it easier to understand why a pet chinchilla will suffer if you “spoil” it by only serving yummy soft food such as fruits and soft pellets, especially if there is also a shortage of chewy branches and/or toys. Your chinchilla might love to eat soft fruits, but it also needs plenty of course things to chew to continuously grind down its teeth and fibre-rich food such as hay to keep its digestion working properly. 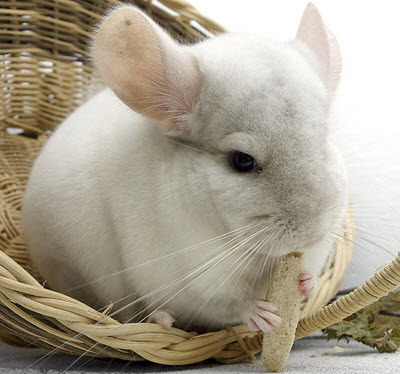 Only feeding “treats” to a chinchilla is the equivalent of only feeding candy to a human kid – they might love the taste of it, but it will give them serious health problems. Wild chinchillas don’t go swimming in lakes or other bodies of water. Instead, they keep clean by taking dust baths. There are well-meaning but poorly informed chinchilla owners who think that their pets need regular baths to stay clean and healthy, but this is in fact harming the chinchilla. Put the water away, and give your chinchilla plenty of opportunity to take dust baths on its own instead – just like its wild relatives are doing in the Andes Mountains. Wild chinchillas like to know that there are hiding spots nearby where they can seek shelter from predators or unusually harsh weather. Even if you let your pet chinchilla roam around fairly freely in a room in your home, it will still appreciate having a cage or little house that it can run into if anything scares it. The cage can also keep it out of trouble when you aren’t around to make sure they don’t chew something dangerous in the home. If your chinchilla will be spending most of its time inside a cage, the cage needs to be fairly big to ensure that the chinchilla can move around, play, jump, run, and so on. Also, in a tiny cage, there will be more issues with excrement contaminating the food. Wild chinchillas roam around; they don’t stay holed up 24/7. If you frequently let your chinchilla out to play and explore outside its cage, e.g. in a playpen or in a room in your home, it’s okay with a somewhat smaller cage since the cage will be more of a hiding spot for resting and not your pet’s environment around the clock. Tips! Creating multiple levels in the cage for the chinchilla to explore will make life more interesting and varied for it. This does of course require a fairly tall cage. Make sure that the bottom of the cage doesn’t have openings where any part of the chinchilla could go through, e.g. a toe getting stuck in mesh when playing, resulting in a twisted or broken ankle. Many accidents have happened on mesh floors. Cages where the full height of the sides is solid (e.g. glass cages) are not recommended since it is difficult to get them sufficiently ventilated. Bedding material. Make sure it is one that’s safe for chinchillas to nibble on. Also, avoid sharp bedding materials, and dusty ones which can cause respiratory issues. Bedding should be changed frequently and as needed. Expect to change it at least once a week. A water bottle attached to the side of the cage is better than a water bowl. A water bowl can be splashed out (leaving the chinchilla without water and making the bedding wet) and is also easily contaminated, e.g. by excrement matter and food. Unlike many other pets, chinchillas should not be given water to bathe in. A hay rack. The rack helps keeping the hay well-aired, reducing the risk of mildew. A large exercise wheel, unless your chinchilla gets plenty of daily or nightly exercise outside the cage. The exercise wheel should have a solid floor to prevent injury. A container with suitable dust for dust-bathing. Well-assorted pet shops will sell dusting powders for chinchillas. You don’t have to keep the dust container in the cage all the time, but your chinchilla should be offered the opportunity to take a dust bath at least twice a week, preferably more. Things to chew on, e.g. suitable branches and toys. Other things that will help keep the chinchilla entertained, e.g. tunnels to crawl through and explore. Depending on diet, your chinchilla might need to have liquid vitamin C added to its food or water. Chinchillas will eat their own excrement. This is perfectly normal and is way for the animal to extract even more nutrients from the food. Wild chinchillas often live where food can be scarce and this helps them survive. Do not discourage or prevent your pet chinchilla from engaging in this perfectly normal and healthy behavior. Eating its own excrement (coprophagy) is not a sign of your chinchilla being malnourished. 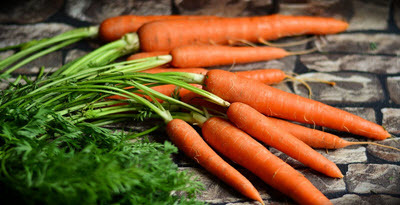 Read more about chichilla diet here. Can I keep chinchillas together? Yes you can. Chinchillas like to live in pairs and groups. In the wild, chinchillas live in herds and are very social animals. So, living alone goes against the instincts of the chinchilla, and it is important that the pet owner provides the chinchilla with plenty of ersatz social interaction in captivity. You can keep two or more chinchillas together, taking their individual personalities into account, of course. Chinchillas must be introduced to each with care and need a lot of supervision at first to make sure they are a good fit for each other. This is especially true for chinchillas that are not used to living with other chinchillas. For pairs and groups, it is a good idea to double up on some items in the cage. If there is only ONE water bottle, ONE food dish, ONE chewy toy, and so on, it can cause conflicts or one chinchilla might be too timid to get what it needs. If your chinchillas aren’t spayed / neutered, males and females should not live together unless you specifically want to breed two specific individuals with each other. After mating, it is best to let the pregnant female live separated from any intact males, because they will try to mate with her even though she is pregnant (female chinchillas can go into heat while pregnant) and there have also been reports of males trampling newborn chinchilla kits in their eagerness to mate with the mother. Male kits should not be allowed to live with their mother and sisters after eight weeks of age, because they will try to mate with their mother and sisters.